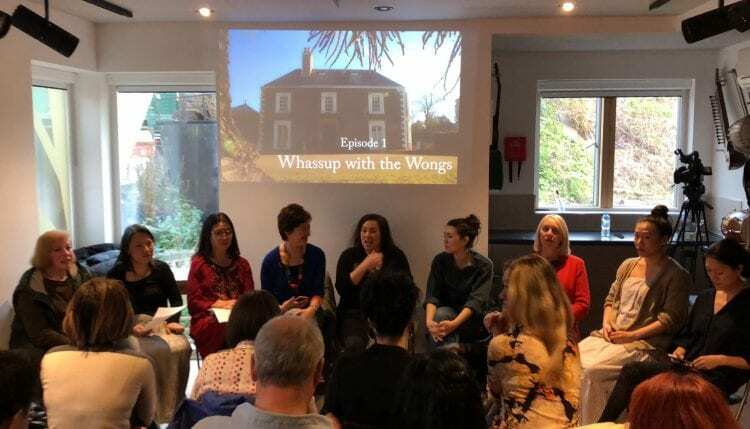 Following the ‘Living with the Lams’ debacle, where it surfaced that CBBC plan a television series about a Chinese family, but written mainly by white writers, a panel event was held at Tara Arts to address the position of British East Asian writers in the British film and television industry. Diana Yeh was invited to screen the first collaborative film short ‘Whassup with the Wongs’ based on her research and made by the director Rosa Fong as a way to open discussions. The question ‘Are We Experienced Enough?’ highlighted how in Diana’s research, a British East Asian writer with extensive experience, which includes writing six series of a children’s television show, is told that she is ‘not experienced enough’ to be employed. The same writer is, however, invited to rewrite an outline of a TV script prior its submission to pilot – but is expected to do so for free. The panel included several British East Asian writers such as Emma Ko and Amy Ng as well as Anne Edyvean, Head of BBC Writers Room.